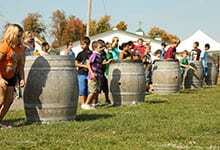 Columbus Day Weekend features the Pumpkin Olympics. 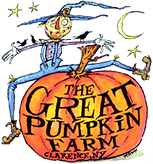 Kids and families will have a great time joining in on the fun at the Pumpkin Farm Olympic Games including Pumpkin relay, Pumpkin Guts, Pumpkin Dash, Skeleton Hunt & More. 1st, 2nd & 3rd Place Olympic style medals awarded! October 12, 13 & 14 Only!